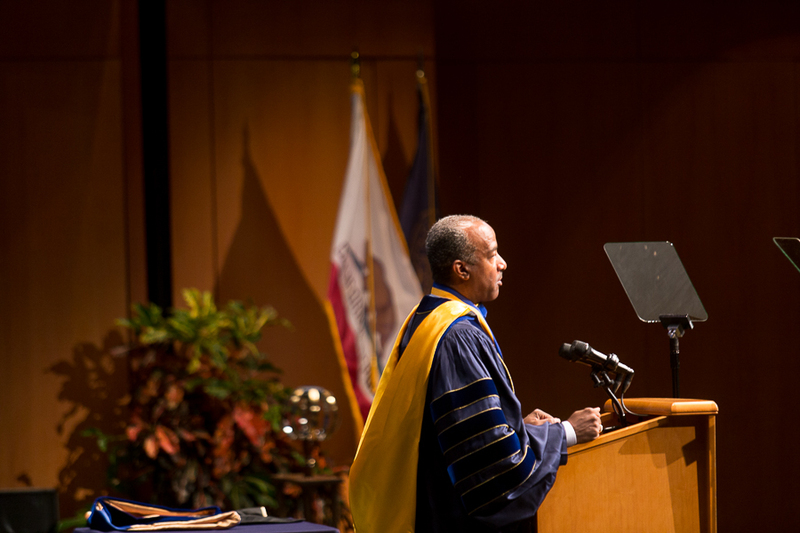 The Investiture of Gary May as the seventh chancellor of UC Davis took place on Oct. 27 in the Mondavi Center, the first event in UC Davis’ annual Homecoming weekend. The ceremony consisted of musical performances, speeches by UC community members and the presentation of the Chancellor’s Medal by UC President Janet Napolitano, officially inaugurating May into his new position. Speakers repeatedly mentioned May’s community and academic spirit, desire to promote diversity, sense of humor and, of course, his love of Star Trek. Guests were welcomed into Jackson Hall by a musical prelude from the UC Davis Concert Band, which was followed by an academic procession of UC chancellors, regents, faculty representatives and other senior leaders. Andy Jones, a UC Davis writing professor and a two-time Davis poet laureate, was the master of ceremonies and presented opening remarks after the procession and national anthem. George Kieffer, the Chair of the UC Regents, followed Jones’ remarks with a welcome speech that discussed the unofficial founding of UC Davis in 1906 and recognized how the university has become “the world’s preeminent university for agriculture, veterinary science and environmental sustainability.” He also emphasized May’s reputation for fostering diversity and advocating for the success of all students, which has the potential to influence the future of UC Davis and California as a whole. A video presentation then reflected on May’s childhood, his background as an electrical engineer and former dean and his appreciation for his family. It also showcased May’s accomplishments at UC Davis thus far and highlighted his goals for the future, including plans to develop Aggie Square — a technology and innovation hub in Sacramento. 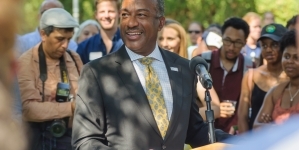 Next, UC Davis students, staff, faculty, alumni and other community members delivered remarks, wishing May well in his future as UC Davis chancellor. Speakers included ASUCD President Josh Dalavai, GSA President Roy Taggueg, UC Davis Staff Assembly Chair Kate Shasky, UC Davis Academic Senate Chair Rachael Goodhue and Cal Aggie Alumni Association President Debby Stegura. Each speaker expressed their confidence in May’s ability to work with their respective branches of the UC system and to help UC Davis grow. During the event, Fred Taverner, a board director of the Cal Aggie Alumni Association and a UC Davis alumnus, commented on his impression of May thus far. G. Wayne Clough, May’s longtime friend and colleague from Georgia Tech, presented after the May family. Clough, the President Emeritus of Georgia Tech and former secretary of the Smithsonian Institution, said that May’s experiences in Georgia will help the him adapt to “opportunities and challenges” that UC Davis will face going forward. May’s inaugural address came directly after the presentation of the Chancellor’s Medal. He spent time thanking friends, family and colleagues from UC Davis and Georgia Tech for standing by him in his career. To recognize the support he has received throughout his life, May referenced a Southern saying that reads, “If you see a turtle on a fence post, it didn’t get there on its own.” The new chancellor also talked about his belief in a strong work ethic, the power of education and the importance of diversity. 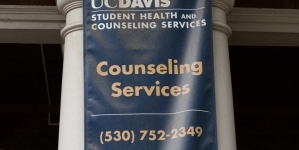 The address continued with May’s recognition of UC Davis’ world-renowned reputation and its potential for continued worldwide impact. 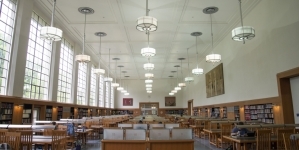 After May’s speech, attendees stood for the performance of the UC Alma Mater “Hail to California,” which was followed by the recession of the UC deans, chancellors, regents and senior leaders. Guests were then invited to a reception outside of Jackson Hall, where they could meet other attendees and UC Davis community members.